We are here to help when balancing the activities of daily living and maintaining a home becomes a struggle for those dealing with chronic illness or the challenges of aging. Active Home Care offers in-home care assistance and senior home health care while lifting the burden of these day-to-day activities. 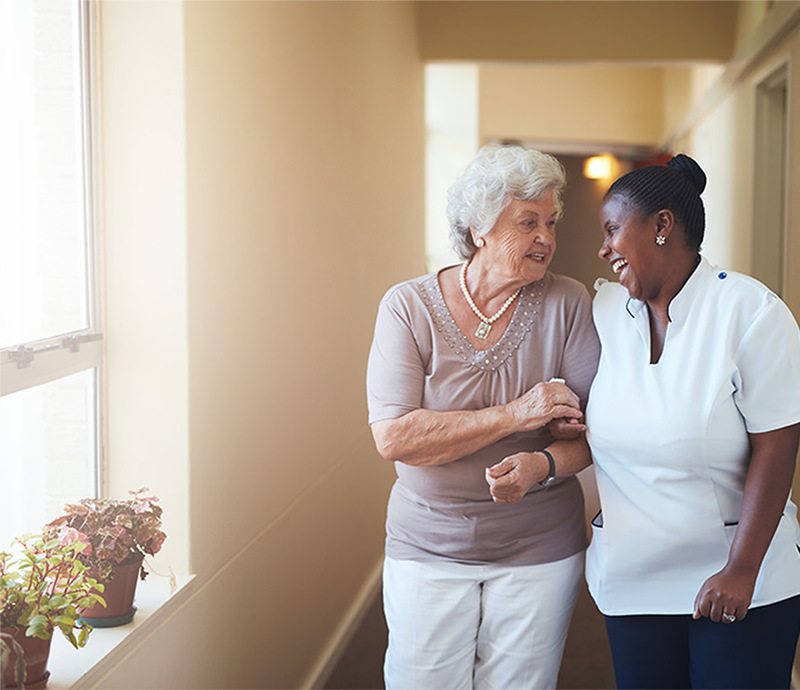 The helpful staff of Active Home Care works with our clients on an ongoing basis to help restore, maintain and promote individual health while they remain comfortably settled at home. What is at home senior care? Simply put, elderly home care is a comprehensive set of senior home care services that allows you to regain and/or maintain your health and independence while receiving the medical care you need. And that medical care is provided in your own home, where you are most comfortable. What do these senior home services cost and how do I pay for them? We have a working relationship with a variety of insurance providers that may cover senior home care services for our clients. Where applicable, we will work with our clients to bill the insurance provider directly to ensure claims are being processed timely and minimize out-of-pocket expenses. We participate in state Medicaid programs. These programs offer a variety of care options for eligible clients. Call your local Active Home Care office for more details. We are contracted with the Veteran’s Administration to provide home care services. Call your local Active Home Care office for more details. Many families and clients opt to pay privately instead of working through an insurance provider. Contact your local Active Home Care office for our rates and information on flexible payment schedules. Note: Private pay expenditures may qualify as tax-deductible medical expenses. Please consult with your tax adviser regarding your personal situation. When should I call for elderly home care services? What if I am unclear about which services my elderly loved one needs? We look forward to your questions and are eager to learn about your personal situation so that we can help you determine which home care services may be a good fit. Call us at 888-338-6898. In addition, all of our home care aides complete a competency exam upon hire and are fully insured. All home care aides are regularly supervised by a Registered Nurse (RN). If you are interested in joining the Active Home Care team, caring for the elderly, please complete and submit our online application.